This guide becomes so useful if you mistakenly delete any of your important file. We all know how painful and irritating it used be once one mistakenly deletes his/her important file. Trust me, if you have been in such situation before, you will never want such to happen to you again. 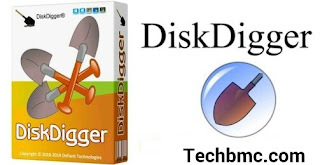 Now, DiskDigger Pro is an app that helps you recover or retrieve any mistakenly deleted file on your android device. The app is just similar to recycle Bin that also help in recovering files on computers. With DiskDigger Pro app, you can be able to recover deleted files that has the following formats as their extension; examples are JPG, PNG, MP4, NEF, DCR, PEF, DNG. M4A, 3GP, MOV, PDF, XPS, ODT, ZIP, APK, SNB and so many other formats which you can run on your android smart phone. Note: Your Android device supposed to be rooted before you can enjoy the full feature of this DiskDigger Pro recovery. But if your mobile device is unrooted, you can still enjoy this app recovery but to a limited extent, as you can only recover a lower resolution versions of your photos that it finds in the caches and thumb nails of the directories. So to enjoy the full feature, just get your device rooted if unrooted. √ How to Root Any Stubborn Android Devices With The Latest KingRoot. √ How To Uninstall System Apps In Android Phone Just To Free Up Your Memory. √ Solution To Android Malfunctioning Torch-pad Keyboard With Button Savior App. >> Click Here to Directly Download DiskDigger Pro for free On your Android Device. After downloading, launch it and you are good to go. So once any file is been deleted on your device with or without your notice, log on to the app and then and retrieve any of the deleted files.